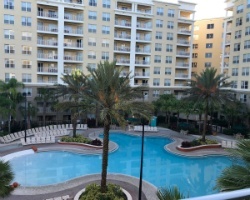 *Vacation Village at Parkway* offers the best of Florida: great entertainment, fabulous shopping, thrilling recreation and mouthwatering restaurants. It's 43 square miles of vacation excitement, including Disney's Magic Kingdom (a Disney tradition), Mickey and friends, Disney's Epcot, two water parks (Blizzard Beach and Typhoon Lagoon), resort hotels and six golf courses, all linked by monorail, ferryboats and shuttle. There's also Disney's Hollywood Studios and Disney's Animal Kingdom to explore, or you can shop all day and dance all night at the 120-acre Downtown Disney (featuring Marketplace, Pleasure Island and West Side). A helpful hint: Before your visit, plan ahead and parcel your time among these attractions too numerous to see in a week! PRICE JUST REDUCED! Start creating unforgettable memories today! Buyer May Receive A Title Fee Credit, Inquire For Details! Come back year after year & experience something new every time! Buyer May Receive A Title Fee Credit, Inquire For Details! St. Patrick's Day week available! Reasonable offers will be considered! Club fees paid thru 2018! With membership, week exchanges for 92500 RCI pts. One of the newest luxury units, Red week 28 every year! July 4th week 26 in exciting Orlando! Owner has prepaid closing credit; please inquire for details! 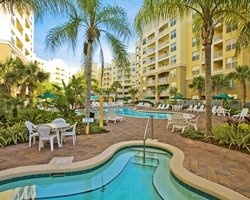 Fantastic resort for your Orlando vacations! Yearly usage in October week 42! Buyer receives complimentary closing credit; inquire for details! Come to Florida in week 1! Ideal location close to theme parks, shops and much more! Buyer May Receive A Title Fee Credit, Inquire For Details! Sale includes RCI membership! Too many amenities nearby to list! Buyer May Receive A Title Fee Credit, Inquire For Details! Enjoy the holiday season at this fun filled area! Buyer may receive a title fee credit, inquire for details! Price is negotiable! Fun resort near the Orlando theme parks! Odd years usage in June week 23! Can be utilized as two 1 bedrooms as well. No matter your age or interests there is something for everyone! Buyer May Receive A Title Fee Credit, Inquire For Details! 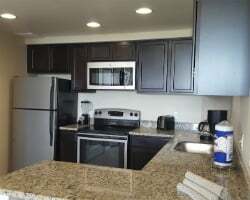 Ideal location near a wide variety of theme parks, entertainment & more! Buyer May Receive A Title Fee Credit, Inquire For Details! There is no end to the amount of fun to be had! Near major attractions! Buyer May Receive A Title Fee Credit, Inquire For Details! Great location that all ages and interests will enjoy! Buyer May Receive A Title Fee Credit, Inquire For Details! 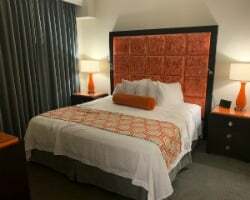 2 bedroom lockout suite in week 48! Red season week 4 every year! Exchanges with RCI for 55,000 RCI points with membership. Start the year off right with fun-filled vacations to Florida! Split lockout and use every year! 3 mi from Disney's main gate. Can use 1 bedroom side annually or 2 bedroom every 2nd year. Week 5 in odd years! Price is negotiable. Annual red season week 50 in a 2 bedroom lockout suite! Price is negotiable. Wonderful resort close to the attractions! Every 3 years usage in January, Red season week! Make your offer! Great week to enjoy in Orlando! Double your annual usage when you split up the lockout suite! 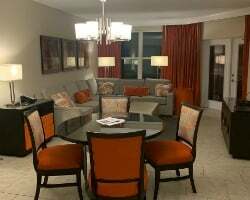 Outstanding family-friendly resort near all the Orlando fun! Yearly usage in lovely October, Red season week, with option to float! Negotiable! Poolside suite to bring family & friends along! Theme park lover's welcome! Buyer May Receive A Title Fee Credit, Inquire For Details! Extremely motivated seller! No reasonable offers will be refused! Make me an offer today! Buyer May Receive A Title Fee Credit, Inquire For Details!